In an interesting reversal of—oh, let’s say, the Gremlins remake or Beetlejuice sequel we’ve been talking about for years but will probably never happen—Lucy Lawless seems to have willed a Xena: Warrior Princess revival into existence simply by mentioning it. Earlier this morning, we reported that Lawless sounds quite enthusiastic about bringing back the warrior princess, even stating her intention to defy (TV) death to bring back the character. We do know, however, that Rob Tapert and Sam Raimi are already involved in the project—which is being described as a “modern reboot”—which may explain where Lawless got her inside information. “The new Xena would have to have the charisma and charm of Lawless and the smarts of The Hunger Games’ Katniss as producers are said to be looking for a sophisticated and smart superhero for a new generation,” THR says, combining a new thing and an old thing in a blatant attempt to get some people mad and others excited. 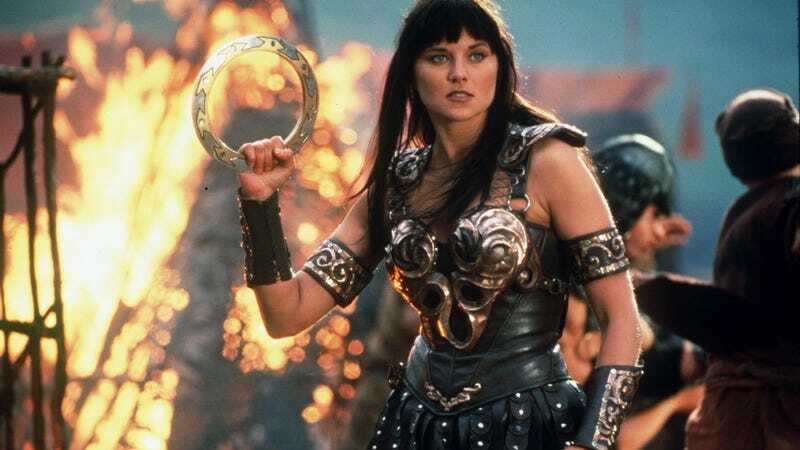 The Xena reboot is being eyed for 2016, and, unlike Fox’s upcoming X-Files limited series, is being planned as a regular (renewable) series, because Saturday afternoons haven’t been the same since Xena went off the air.